UPDATE (3/27/15): Perdue reached out this morning to explain the situation, and it turns out I misunderstood what’s going on here. AgEnergy According to Julie DeYoung with Perdue’s Media Relations office, “Our company, Perdue Farms, has agreed to source and supply the feedstock for the plant, primarily chicken litter. AgEnergy is simply asking that energy produced by the plant be eligible for state programs like other renewable energy sources.” So, consider this a correction… and a apology for getting the facts wrong. I must admit that I get a little irritated when I read about profitable companies going to local governments with their hands out. Here in St. Louis, we’re watching that happen with the St. Louis Rams: our local officials are falling all over themselves to find ways to fund a new stadium. In Maryland, chicken processing giant Perdue, along with partners AgEnergyUSA and EDF Renewable Energy, is lobbying the legislature to “invest” $200 million dollars in a methane digestion plant for the Eastern Shore of the Chesapeake Bay. Now, don’t get me wrong: I’m all in favor of the general concept these businesses are proposing. In short, massive amounts of chicken poop are polluting the Chesapeake Bay. Traditionally, farmers have used this waste to fertilize fields, but the run-off created is high in phosphorous, and thus pollutes the Bay. The idea Perdue and partners have proposed involves building a methane digestion plant that would extract biogas from that chicken poop. Farmers could still use the remaining solids as soil amendment, but the problematic chemicals would be separated out, and could be sold as liquid fertilizers. So, why does the state need to make the initial investment here? [It doesn’t, and isn’t.} This looks like a revenue generator on a number of fronts: electricity, peat moss, and fertilizers are all products that the owners of the plant could sell to recoup their investment and earn a profit. Isn’t that what businesses do? 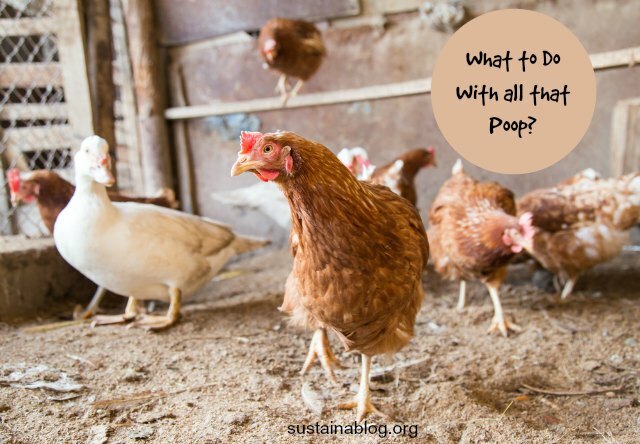 Is There a Cheaper Alternative for This Chicken Poop? Of course, I couldn’t help but think of South African farmer Shelby Tyne’s DIY methane digestion system, and that got me wondering if one centralized plant on the Eastern Shore is the best answer for this environmental challenge. If the state’s going to get involved, how much would it cost to create loans or grants for chicken farmers to build their own waste-to-energy systems? Even if they got a bit more technologically advanced than Tyne’s system (which is designed for the developing world), I’m guessing they’d still cost a fraction of $200 million. Not only would such an arrangement probably cost less, but it also spreads the economic benefits around more directly. Farmers have multiple direct economic incentives to handle their chicken poop responsibly: the decrease in utility spending as they provide their own power, the sale of excess power to local utilities, and the decrease in costs of fertilizer/soil amendments (or the revenue generated from the sale of such products). Decentralizing this also creates a number of “laboratories” for farm-scale methane digestion practices. Previous article Peppadew Peppers: Sweet, Spicy, Versatile, Addictive, Mouth-Watering!